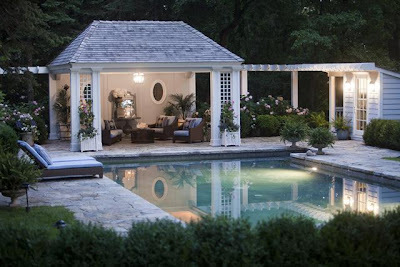 Understated elegance and simplistic serenity were some of the comments expressed by the expert panel of judges who selected Brandon Jones as the 2012 International Landscape Designer of the Year. 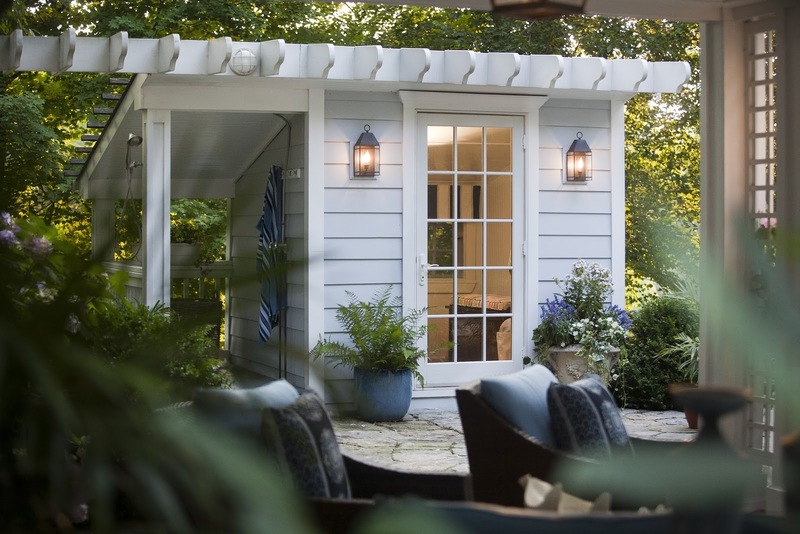 Visions of creating a relaxing retreat for family and friends during hot, humid summer days influenced Jones’ winning design. A principal designer and director of design at Glen Gate Company, in Wilton, Connecticut, Jones’ award-winning project was selected out of sixty-five entries in the Association of Professional Landscape Designers’ (APLD) international juried competition. “When I first saw the turn of the century site I was instantly inspired by the space, which already had a pool and gardening shed, and I attempted to keep that history alive,” Jones explained. To achieve a summertime oasis, Jones knew integrating shade would be vital, so he let the shade pavilion become the focal point. His vision was to create a cozy get-away, saturated in modern simplicity and vintage nostalgia. When choosing plants for this design, local climate and zone drove his choices. His finished product was a hit with both his client and the APLD judges, and Jones was equally “honored and thrilled” when he found out he won the prestigious title. Let us know what you think of the award-winning designs. Send us your photos and tell us why you chose the landscape and garden design for your home!